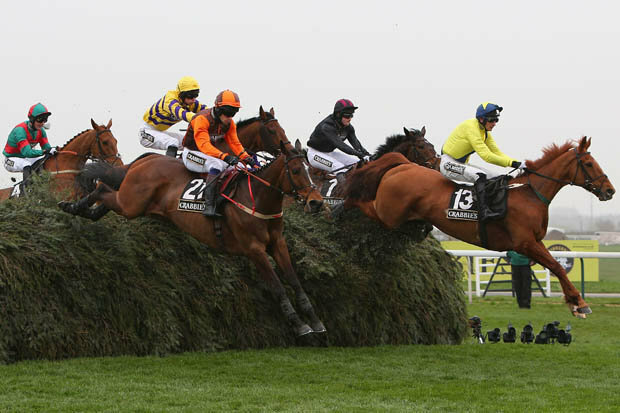 Grand National Ante Post betting can be as tricky as getting over the fences. Would You Risk An Ante Post Bet For A Bigger Pay-off? Grand National ante post betting involves taking greater risks for the chance of a bigger pay-off. More often than not, bets of this nature are made if there exists a fixed odds better market prior to an actual sporting event. Punters place their bets weeks or even months before the finals. Also known as futures betting, this type of bet is often made for big events like the Super Bowl and World Cup. However, it also quite common for punters to take part in Grand National ante post betting for horse or dog races. Looking into the history of ante post betting reveals that it originated from the horse racing world. This is also the reason for the use of the literal translation of “before the post” in the label. This means that bets are made prior to having the horses at their post for the start of the race. Overall, the practice of Grand National ante post betting remains popular in the sport of horse racing. Many punters pay close attention to the racing calendar and take note of the odds for major races. Typically, punters place their bets as early as 12 months prior to the following year’s race. Their predictions are often based on who among the two year old runners from the recent race are likely to become major contenders. With most ante post bets, bookmakers may typically offer the options of “non-runner no bet” or “non-runner free bet.” If so, a bettor can expect a refund in the event that the horse they wagered on does not participate in the race. Bets made for a competitor or team that withdraws after the start of an event are considered lost. Bets made in favour of a competitor or team that does not take part in the event are refunded. However, if the team or a competitor was eliminated or participated in the competition then a refund is not given. Settlement of payments for ante post bets are based on the applicable terms for price and place when the bet was placed. Ante post prices are provided to punters ahead of time before a major race. Expectedly, the price of betting ante post is higher. This accounts for the likelihood that a competitor or team actually competes and wins the race. But do take note that ante post bets are not accepted for collective odds that a competitor wins two or more times. However, there are times when an ante post bet is declared void due to the following reasons. Race is cancelled and not postponed or rescheduled to take place at a later date. Race is transferred to a different track. The selection is polled out of the race. The selection made was not qualified for the race when the bet was placed. For instance, a bet was placed on a competitor that was not included in the list of entries. The selection has no chance of winning the competition when the bet was placed. For example, betting on a dead horse. A non-participating competitor was specified. So as long as you place your bets in the ante post betting markets at bookmakers that offer NRNB or non runner no bet you will be covered for any loss that may incur through horses being pulled from the race. Avoid the pitfalls as mentioned above and you will have your bets covered when it comes to ante post betting.